I know some people aren’t clear on the difference between fantasy and paranormal fiction, so let’s start this post with a definition. Paranormal fiction is set in our normal world, just with some paranormal aspects added, e.g., werewolves, vampires, ghosts, or shapeshifters exist along with humans. If you take away the paranormal creatures, you’d be left with our current world. Fantasy novels are set in another, imaginary world that has its own rules. Very often, magical powers and mythological creatures such as dragons play an important role. However, there’s a huge overlap between the two genres, especially between urban fantasy and paranormal romance. Many even consider paranormal fiction to be a subgenre of fantasy, so I’m not going to be too strict if you want to put a novel such as Second Nature into the fantasy square. I know some people have been looking forward to this reading list because fantasy is their favorite genre, while others are shying away from it. If you belong to the latter group, give it a chance. There are some fantastic (no pun intended!) fantasy novels out there, and if you find the right one, you might end up loving it. 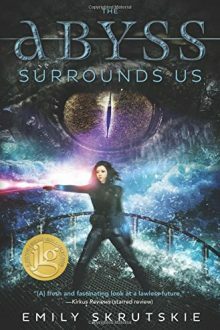 I’ve put together a list of 15 fantasy novels with lesbian, bisexual, and other women-loving female main characters. Princess Dennaleia has spent all her life planning to marry a prince and seal an alliance that will protect their homelands from other hostile kingdoms. But as her forbidden magical gift for fire becomes harder to hide and she starts to fall in love with her fiancé’s rogueish horse-training sister, she must choose between her duty, her power, and her heart. Harper, Sword Maiden for the illustrious Goddess of the Open Sea, has returned to the fabled city of Griffon’s Rock to rest for the winter months after a disappointing year treasure hunting. Her rest is cut short by a mysterious storm of divine origin, an attempted theft of her beloved mount, and the sudden appearance of a beautiful southerner who seems determined to capture Harper’s heart. The object of Harper’s desire, the mysterious rogue Calista, appears destined to get everyone into trouble with a mystical stew-brewing ogre, a greedy guild of Dwarven thieves, and finally an exalted march out of the snowy north bent on divine retribution. Before the spring thaw, Harper will choose between the woman she loves and the Goddess that is the source of her magic. The quest for the chalice is a sham, a way to banish Tevi, without causing scandal. She must go alone into a world where monsters and bandits are the least of her problems. Jemeryl wants only to be left to study magic in peace and avoid common folk who don’t understand sorcerers. It is all very straightforward, until she meets Tevi. An unexpected inheritance fuels Margerit Sovitre’s dream of becoming a scholar, not simply making a good marriage. But the least expected part of that legacy is the swordswoman Barbara, who may be the only person standing between her and a charge of sorcery and treason. When is war justified to preserve peace? 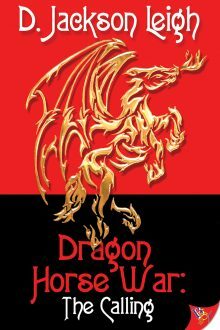 Jael, seasoned commander of a latent cell of dragon horse warriors, understands what Alyssa, an alluring young Advocate, doesn’t—words won’t be enough to quell the violent sect preying on the population’s fear and hunger. As their conflicting ideologies threaten to jeopardize their mission to save The Collective, Alyssa and Jael realize their growing attraction and entwined destiny might be more formidable than the enemy they have been called upon to defeat. Eleanor of Sandleford’s entire world is shaken when her father marries the mysterious, reclusive Lady Kingsclere to gain a noble title. Ellie is forced to live at Baxstresse Manor with her two new stepsisters. Luciana is sadistic, but Belladonna is the woman who truly haunts her. Forced to be a servant after her father dies, how will she stop an ancient sorcerer’s curse and save her country? In a land impoverished by a war that started before she was born, Kiena has provided for her mother and brother by becoming one of the best hunters in the kingdom. But when a lifelong friend with connections recommends her to the king to track down a runaway princess, her life gets turned upside down. Finding the princess is easy. Deciding what to do in a conflicting mess of politics and emotions…not so much. Gwen is the not-so-innocent virgin. Bodhi is the less-than-dashing hero. And My Fair Maiden is not your ordinary damsel-in-distress fantasy. Warleader—in Y’Dan, this is a title of pride, of honor, and of joy. Oathbreaker—a word branded only on those whose crimes are so heinous, all must know of their crime. Both of these names have been given to Azhani Rhu’len. Only one of them is right. Princess Shasta is saved from an assassination attempt by a handsome traveling acrobat named Talon. Impressed, the King declares Talon will become the Princess’s new bodyguard. 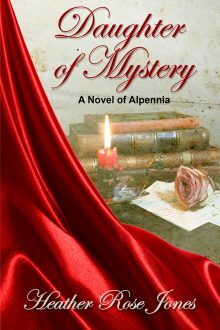 Intrigue and treachery permeate the palace, but the greatest deception of all is right under Shasta’s nose. What will she do when she discovers her charming guardian isn’t what he seems? Cassandra Leung has been a Reckoner trainer-in-training ever since she could walk, raising the giant sea monsters to defend ships as they cross the pirate-infested NeoPacific. But then pirate queen Santa Elena kidnaps her. Santa Elena wants to take back the seas with a sea monster of her own, and she needs a proper trainer to do it. She orders Cas to raise the pup and teach him to fight for the pirates. If Cas fails, her blood will be the next to paint the sea. A mermaid’s supernatural beauty serves one purpose: to lure a sailor to his death. Meela, a warrior of Eriana Kwai, must fight for her people’s survival on the ocean’s deadliest battleground — battling against the mermaid she once called a friend. In ancient Ireland, a young girl is orphaned and left to die. Rescued by a clan of badgers, she and her magic come to the attention of other humans. Some want to help her; some want to use her. When she bonds with an orphaned dragon cub, they become the targets of those who seek to use their power. Forced to flee, dragon and dragonmage must search for the answers as to what their future holds. Tamras arrives in Merin’s house to begin her apprenticeship as a warrior, but her small stature causes many, including Tamras herself, to doubt that she will ever become a competent swordswoman. To make matters worse, Merin assigns her the position of companion, little more than a personal servant, to a woman who came to Merin’s house, seemingly out of nowhere, the previous winter, and this stranger wants nothing to do with Tamras. 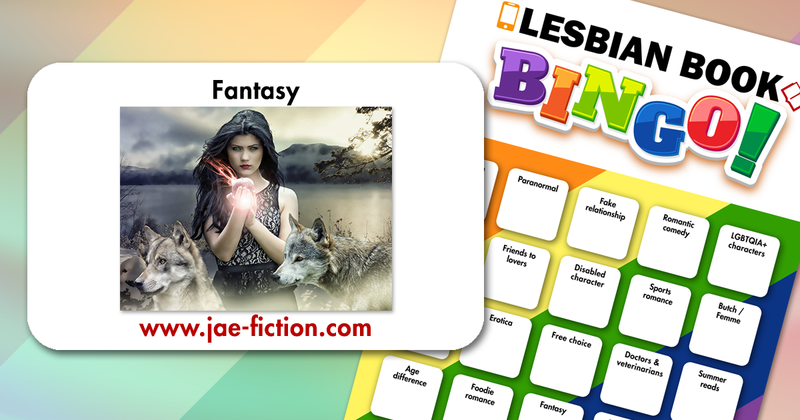 If you haven’t done so already, read up on the rules of Lesbian Book Bingo, pick the book you want to read for the fantasy square, and start reading! Remember that you can either read one of the 15 books listed above or pick another fantasy novel with a female main character who identifies as LGBTQIA+. In addition to winning books by completing a line on the bingo card, there’ll also be a giveaway for each post. This time, there’ll be two prizes: One lucky winner will get a paperback copy of Audrey Coulthurst’s Of Fire and Stars, while another is getting all three e-books in Catherine M. Wilson’s When Women Were Warriors trilogy. To be entered into the drawing, leave a comment and let us know which book you’re going to read for the fantasy square or if you can think of other lesbian books that fit this category. I’ll announce the winners of the giveaway on Thursday, February 22. The reading list for the next bingo square—women of color—will be posted on March 1. There’ll be another giveaway too! I’ve read a few of these – loved the Jane Fletcher series, but I think my favourite of those I’ve read has to be the Jamie Sullivan book. I think I might go for Banshee’s Honour by Shaylynn Rose to fill in my bingo square. I have picked Ice Massacre by Tiana Warner for this square. I loved the When Women Were Warriors series! I already read The Fletcher for the fantasy square. I’m looking forward to reading some of the other books listed here. I haven’t heard of any of these books except ‘Of Fire and Stars’ by Audrey Coulthurst. So I plan on reading ‘Of Fire and Stars’. Oh this one is hard. I am out of my element here. 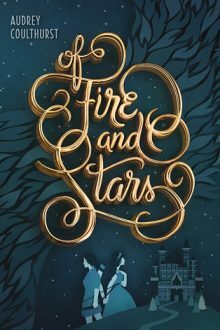 I think I would read Fire and stars….I mean there might be more, but this one sounds great! I am not a huge fan of fantastic worldso it’s harddor me to pick one. I am still undecided atm; but you do have great suggestions! World so* hard for me to*. by Chris Anne Wolfe. I loved this book, and I’m very glad I stumbled across it. I think it’s time I read The Second Sister. I don’t know any of the books on the list. So, yes, fanatasy hasn’t been my choice ever. Thanks for the list, there must be a good pick on it. This isn’t my usual genre, so thanks again for the bingo! I’m gonna give Sword of the Guardian, The Second Sister and The Warrior’s Path a go. I love both books 1 AND 2 of the Lyremouth series. But my very favorite Jane Fletcher book is The Temple At Landfall, set in an entirely different Fantasy/SF world. I’ll be reading the Alpennia and Mermaids of Eriana Kwai series this year. I like fantasy a lot in general, but I don’t tend to read lesfic outside of contemporary and historical, so this is a bit of a departure for me. Glad for the push! And then one I had no clue was written by this guy Erik Schubach. The Red Hood Urbin Fairy Tales series they are so good I recommend them to everyone!!!! Since reading Erika books I have a new found love in lesfic/fantasy that I never had before. . It’s amazing what happened when you open yourself up to new Authors, man or woman. So many people judge “the book by its cover” I have been one myself in the past, but thanks to this Bingo Game I have expanded my mind and opened up to a whole new amazing Story world. Oh and Audio books too. So glad to see Banshee’s Honor on the list. I read it and Banshee’s Vengeance by Shaylynn Rose last month for bingo and LOVED them! Fantasy is not my usual ‘go to’ for reading genres but books like those are changing my mind and broadening my reading options. I’m putting Lise MacTague’s Depths of Blue on my list. Not my usual genre of choice but I’m excited to try some new and fabulous books! I’ll read Sword of the Guardian for the square! Thank you for explaining the difference between paranormal and fantasy! This is my least favorite category, but a few of these sound interesting. I am deciding between The Only Way, Ice Massacre, and The Warrior’s Path. I’ve read When Women Were Warriors Book one a few years ago so I’ll need to choose another of the great books listed for my square. 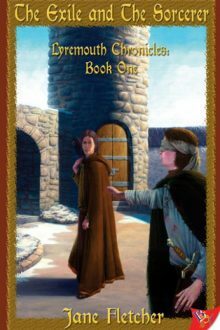 I highly recommend The Pyradiste Adventure series by Barbara Ann Wright. I thoroughly enjoyed it! The first of the four books is “The Pyramid Waltz” and you won’t be able to resist picking up the rest of the series after reading it! Currently I’m reading The Queen of Ieflaria by Effie Calvin, which would fill this square. Might also read Ice Massacre, which looks interesting. I’ve been waiting a while to read Daughter of Mystery by Heather Rose Jones, so I’m taking the plunge. So far, I have read 6 categories and have chosen 5 never read before authors..so thanks to all of those squares on a Lesbian Book Bingo. Fantasy being one of my favorites, I can say for a fact you can’t go wrong with most of these since I have them and enjoyed them so much I’ve reread them. That said, you can’t go wrong with ANY Jane Fletcher books. Also, one not on this list is Nightshade by Shea Godfrey. If you enjoy it, Blackstone is the second book in this Arravan series. I see someone else recommended Barbara Ann Wright’s series that starts with Pyramid Waltz. One of my favourite series in general. I would also suggest The Fletcher by K Aten which is about a young girl becoming an Amazon. Also Erik Schubach has a few fantasy series that would work, my personal favourite of his being the Techromancy Scrolls. Through if editing is a big issue for you I would avoid his work. As a storyteller he is excellent but as a writer he is middling. I was wondering what I was going to read for this category as I had thought pickings were slim, but after reading your list my mind has been opened to a whole new world and now I have too many to choose from. They all look so good. Thank you I’m excited! Thank you! I’ve been keen for ideas in this area. I haven’t read any of the books listed here but I’ll probably add them to my to be read list. I must admit I haven’t read a whole lot of wlw fantasy books, not because I don’t enjoy them though but because I almost never get around to reading one. I’ll be reading The Pyramid Waltz by Barbara Ann Wright for this square. Also Jaime Clevenger just released a fantasy, A Fugitive’s Kiss. I’ll be reading quite a few of these. I’m a huge fantasy fan so I have read a ton of lesfic fantasy books. To anyone a little unsure of this category, I HIGHLY recommend Breaking Legacies. It is wonderful and is the kind of book that will appeal to romance fans and has plenty of excitement. Kinda hate that there’s only 24 hours in a day because I need to read all the books. All of them. I have read six of Caren J. Werlinger’s books and enjoyed ‘The Beast That Never Was’ fantasy story. 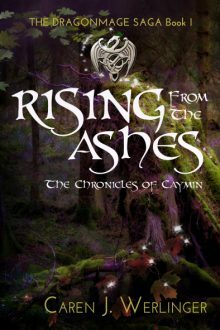 I am going to read ‘Rising From The Ashes’. I just bought Sword of the Guardian by Merry Shannon for this category. I don’t think I’ve ever read a lesfic in this category. This one appealed the most to me. And it’s much cheaper at Bold Strokes. Not sure why there was such a big price difference. Again, this is so fun. Loving this bingo. Bold Stokes has regular specials and sales (like 30% off), especially on early books in a series. Plus, their “Deal of the Day,” or “Daily Bargain”. If you sign up you’ll get a daily e-mail for it, and they’re often $2.99 or $3.99, but you have to purchase from their website. This is one of two categories I’m not all too excited about (SciFi is the other). Going by your recommendations in other genres (those I’m more familiar with), I can only assume every one of these books will be a great read, though I can barely even get myself to review the summaries. If you enjoyed the Chris Anne Wolfe ‘Aggar’ series it’s continued by Skye Montague with “Bonds of Aggar” and “Wilds of Aggar”. The writing is fantastic. I put off trying them initially for fear of disappointment, but now I eagerly await each one. “Bonds of Aggar” is also superbly read on Audible. Also check out Jane Fletchers Celaeno Series – awsome read! okay so Ive decided to read My Fair Maiden for this category. I really wanted to read Of Fire and Stars but unfortunately it is not available at Amazon.au I have also purchased The Only Way from your list and will read that one also. Thanks for the tips. Oh what a great category. 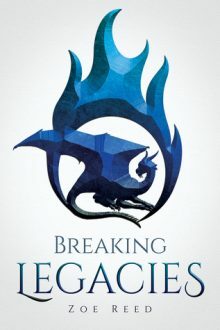 I will read “Breaking Legacies” –> it just sounds so captivating! I covered this square with K. Arsenealt Rivera’s “The Tiger’s Daughter” — an immersive Asian-inspired heroic fantasy with a romantic subplot between the two protagonists. and those are just the ones I’ve read in the last couple of years. I’ve never read a fantasy book. 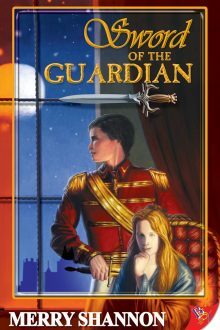 I think I’ll read Sword of the Guardian by Merry Shannon. It sounds interesting as do several others on the list. This is a great list and there are more great suggestions in the comments. I’m not sure I can narrow it down and read just one! I’d also recommend The Beast That Never Was by Caren Werlinger for the fantasy square. This is definitely my genre!! Must read the Amendyr series, one of the best retold I think. “The Broken Coil” by Sy Itha, is great also. I will go with “Promises, Promises” by L-J Baker. This is good for comedy and romance. I’ve already read “The Seer and the Shield” by D. Jackson Leigh for the fantasy square and I can recommend the Dragon Horse War series for anyone interested in fantasy with a little bit of politics, fighting, and religion/philosophy. Of Fire And Stars is already on my TBR, so I think I’ll be reading that! I would also rec Malinda Lo’s first two novels, Ash and Huntress, for anyone who enjoys YA fantasy starring queer women. I could read this serie; aparently it is close to my usual readings. I’m reading “Seer and the Shield” by D. Jackson Leigh which is the third book in the Dragon Horse Wars. DHW rocks. I have Of Fire and Stars in my Kindle library, but haven’t read it yet, so I’ll probably give that one a try for this category. 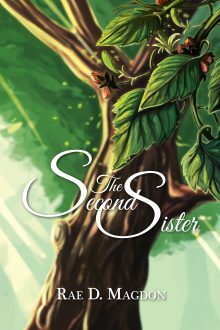 Read The Second Sister way back when it was an original fic posted online. Hmmm, think I might have the first When Women Were Warriors in my Kindle Library, too, but never read it. There’s never enough time to read. I’m enjoying these articles, and seeing just how many of the books I’ve never heard of before. One of my favourite genres- and so many new ones to choose from! I read Bridget Essex Under Her Spell but have added a few of these to my list. I’m really cautious about fantasy, but I can always get the free preview from kindle. Totally forgot about that! Wow. Fantasy is one of my favorite genres, and I haven’t read any of these books. Or any lesbian fantasy. 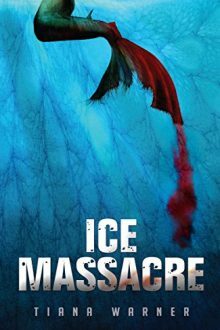 I’ll start with Ice Massacre (I just bought the ebook and the audiobook.). Thanks for all the suggestions! Love this category. Have read most on the list…can’t go wrong with anything by Jane Fletcher. If anyone is looking for Young Adult fantasies, the Duelist Trilogy by Kate Cudahy is a buried gem. I’m going with A Dark and Stormy Knight for this square. Have been planning to check out Bridget Essex for a while, so this is the perfect opportunity. Happy reading everyone and Thanks again Jae for getting us all involved in this. Thanks so much for getting this out there. Strong female roles in the fantasy genre is exciting. Can t wait!!! Great list Jae. 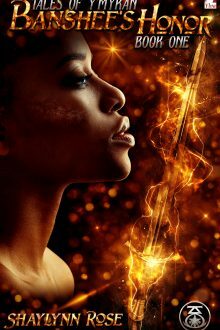 When Women Were Warriors is an awesome series with overall themes that definitely reminded me of Lord of the Rings, only better 🤓. The Dragonmage series is also awesome. The Alpennia series, Sword of the Guardian and the Pyradiste are excellent. There are at least seven on your list I’ll definitely be taking a closer look at soon. But for this square I’ve chosen Krystal Orr – Doira’Liim. There are two I want to read first…When Women Were Warriors and Sword of the Guardian. I think for this card, I will choose Sword of the Guardian. A few new ones to add to my ever growing to be read pile. I was thinking of Jea Hawkins Ashland series for fantasy. I already finished When Women were Warriors and Jane Fletcher’s Lyremouth Series, which I absolutely loved. I am going to to read D. Jackson Leigh it’s been in my list for a while. I’m struggling a bit with this category. A lot of the knights and princesses books just make me fall asleep. I’ve strated multiple and couldn’t finish them. So this may be a challenge for me. I do have The Second Sister so I may read that. Im also wondering if books in a post apocalyptic world are considered fantasy. Because its our world, no crazy characters, but our world is different. I feel like that would fit. That’s more up my alley and I have a few of those on my to-read list. just finished The Exile and the Sorcerer (Lyremouth Series, book 1) by Jane Fletcher (well actually both 1st and 2nd in the series). I’m a bit late to this party, as I’ve had multiple health issues lately that have kept me preoccupied, but I would like to mention that I include my trilogy, When Women Were Warriors, in the Fantasy genre only because people who love Fantasy have insisted on including it. I categorize it as historical fiction. 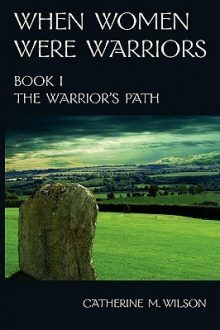 It takes place in Bronze Age Britain and includes no magical beasts, and no magical spells other than those a Bronze Age people would have believed in. 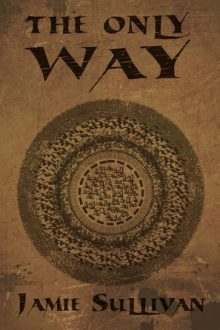 Fantasy readers enjoy it because it is a hero’s journey story, much like Lord of the Rings, and includes most (but not all) of the elements that people are looking for in fantasy. I’ve already read quite a few of these! I’d like to also recommend “Robins in the Night” by Dajo Jago. I picked My Fair Maiden. It came free with the sequel Malodorous. I thoroughly enjoyed the roguish Bodhi and how she continually manages to get beneath the maiden’s skin with seemingly little effort. Great humor, fantasy, sexual tension, and plot twists.